It’s been one of the worst kept secrets in the world of tech, but today HTC made the announcement of its latest flagship handset, the HTC One M8, official. The newest iteration of the One is marginally bigger than its predecessor, with a 5″ full HD resolution screen. However, the thing that has us most excited is the handset’s dual camera. HTC spokespeople are claiming that (just like the Lytro) the new phone can capture lots of depth information from your photos, opening up loads of different possibilities when it comes to editing them afterwards. Great news for all of us mobile photography nerds! According to Cnet, Carphone Warehouse, Three, EE, and Phones 4U will have the M8 in London stores from 4pm on Tuesday 25th March. If you’re not a London-dweller, then you’ll be able to buy it online and in stores over the next couple of days. When it comes to pricing, if you don’t want a contract, the unlocked, SIM-free M8 will cost you £550. Vodafone will be offering the M8 for free from £42 on its Red 3G plans, which comes with unlimited calls and texts. 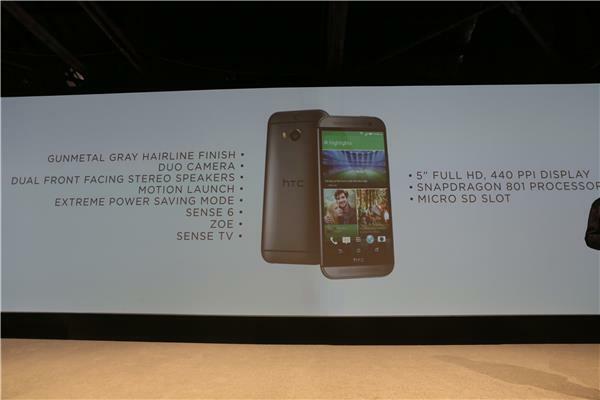 Image via Cnet’s Live Stream from the HTC event.